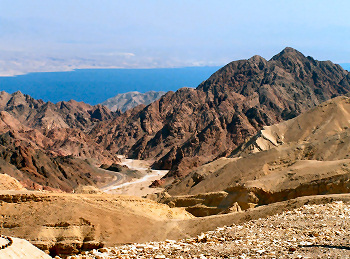 Eilat is the most southern of Israel’s cities and is well known as a holiday resort and port on the Red Sea. Eilat is currently home to approximately 46,600 residences. Through various development plans the government wants to increase this number to 150,000 residences and declare Eilat a metropolitan area within the coming years. The economy of Eilat is tourism-based but thanks to Eilat’s incredibly stable climate the tourist season is all year round. Most jobs in the industry pay only minimum wage. There is also a great need for English-teachers in Eilat and there are additional major incentives for teachers in the area, including rental assistance and travel stipends. The educational needs of the city are met by 80 day care centers, 12 elementary schools and 6 high schools. Religious schools include a Chabad elementary school, a national religious elementary school, high schools for girls and boys and a Yeshiva hesder for soldiers. Ben Gurion University has a campus branch in Eilat and new dormitories were recently built to accommodate more students. Eilat is connected to the rest of Israel by land and air. There is hourly bus service to Tel Aviv, Mitzpe Ramon, and Beer Sheva. There are also frequent buses to Jerusalem and Masada. There are two airports servicing Eilat – Eilat City Airport for domestic flights and Ovda Airport for international and military flights. The current development plans call for the building of a larger single national and international civilian airport just to the north of Eilat, as well as the development of a high speed (MedRed) rail link between Eilat, Be’er Sheva, Tel Aviv and Jerusalem. An English speakers’ group meets in Eilat at WIZO House on Jerusalem St. every Tuesday morning from 10:00 a.m. to 12:00 p.m., to shmooze and share information about what’s doing in Eilat. Occasionally there are guest speakers or evening programs. If you would like to be informed of activities, send your email address to Isobel Phillips – isobelp@gmail.com . There is also a Yahoo chat list for sharing information: NegevEilat-subscribe@yahoogroups.com. Cultural entertainment is plentiful, with concerts, music and dance festivals, featuring international as well as Israeli performers. The local music conservatory, staffed by talented teachers, is being enlarged. Four community centers provide programs and activities for all ages. The local library is well stocked with English books. There is a modern daycareand activities center for Senior Citizens. Sports play a large part in the life of the city on the Red Sea. In addition to water-based activities such as diving, sailing and windsurfing,Eilat hosts many local and international marathons, triathalons, bicycle races and extreme sports. Yoseftal Hospital, managed by Clalit Health Organization, provides medical care to residents of Eilat and the Arava as well as tourists. The emergency room was recently upgraded and expanded with funding provided by the Jewish Federation of Toronto. Religious life in Eilat is wide and varied with a Masorti (Conservative) synagogue called Tagel Arava, and a wide choice of Orthodox options including Ashkenazi, Sephardi, Edot Hamizrach and Chabad. The current chief rabbis of Eilat are Rabbi Hadaya (Sephardi) and Rabbi Hecht, formally of NY (Ashkenazi). Eilat’s neighbourhoods vary widely in character. Good residential areas include Mitzpe Yam, Ganim Alef, Tzofit, Neve Midbar, parts of Ma’arav Sheva and HaDekel , and Shahamon, which is where most of the new building is taking place. young & secular married couple.